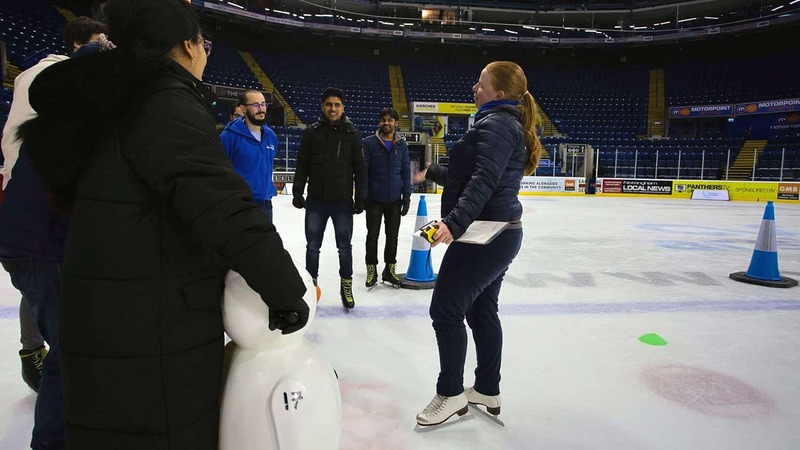 Corporate team building at the National Ice Centre is a truly unique experience that everyone can enjoy! With a wide range of exciting experiences, including Panthers-styled slapshot challenges, learn to skate courses and race tracks. There is plenty of fun to be had on the ice rink. No matter what your ability or experience with ice skating, we have something that suits everyone! 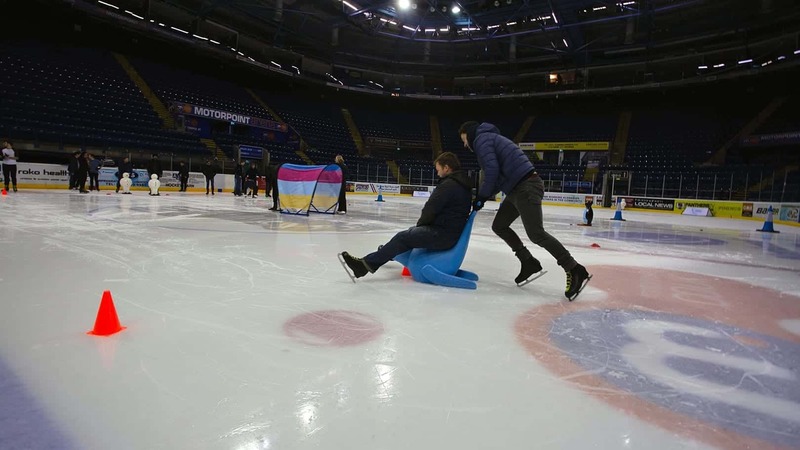 To discuss organising a team building event at the National Ice Centre, email or call our groups team. The race course has been set up around the rink for a speed skating event, with tunnels and tight corners. Manoeuvre our course whilst holding on to a snowman (ice equipment to assist you in standing up and skating). 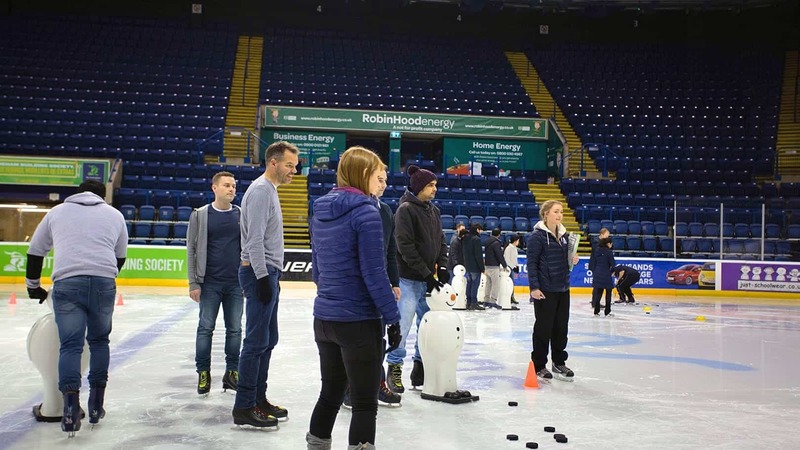 To plan a team building day at the National Ice Centre and discuss the possibilities further, call our groups team on 0115 853 3137. "Fantastic team building event, great fun, smoothly run and an abundance of experience on hand! Definitely recommended"
"The guys had a fantastic time skating and the activities were brill! Really enjoyed ourselves."